UPDATE 07.07.2015: We no longer recommend using the Compressive Images technique. Any wins with file size are outweighed by the extra processing power required by browsers when scalling double-size images. This is particularly an issue on lower powered mobile devices. Instead we simply recommend generating images that are context and device size appropriate. We use the picture element and srcset to serve up different size images based on media queries. There’s a lot we as developers can do with images that are part of our frontend workflow or directly referenced in our code and templates (automatically resizing, cropping etc. ), but one of the biggest challenges we face, and have little control over, are images uploaded by site editors and other users. Below is a summary of techniques we share with our clients on good image optimisation practice. We recommend a technique called Compressive Images. This allows us to cater for Hi-Def/Retina devices, whilst still serving as small file sizes as possible. The principal behind it is that you make your master image double (or more) the visible size, and then highly compress it. This results in an image that looks sharp on all devices, but often has a smaller file size than an image the same size as the visible size. For more details have a read of this article by Filament Group. 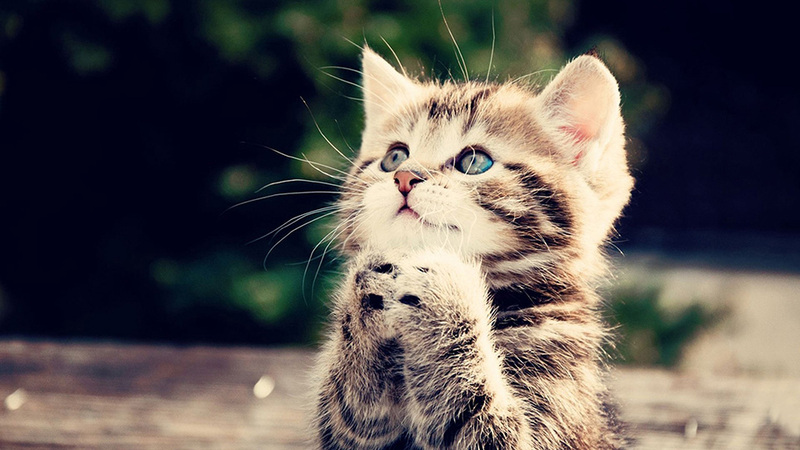 By way of illustration, consider these two pictures of a cute kitten. When both images are viewed at the same size, in this case, 620px wide there is little discernible difference in quality, and yet the second, much larger image is almost half the file size of the smaller image. We recommended using software such as Adobe Photoshop, which does a good job of optimising images for the web. REMEMBER, when using the Compressive Images technique the pixel dimensions will be double the size they will be viewed at on the site, so the image can be compressed a lot (hence starting from the JPEG Low setting). Once you have saved the image in Photoshop we also recommend using software such as ImageOptim (free Mac OS X app) or Kraken (free online tool) to compress the file further. 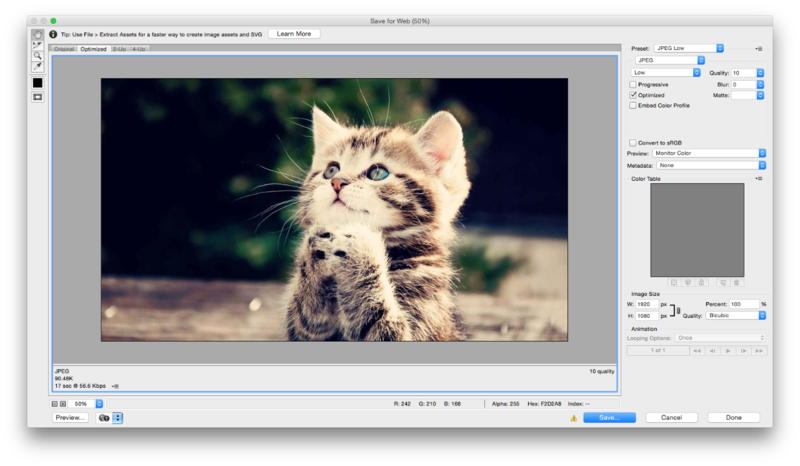 These tools work by tweaking the compression parameters of the image and removing any unnecessary embedded comments, colour profiles and metadata. For a more comprehensive list of tools, including workflow automation and server side, Addy Osmani has written a good roundup. 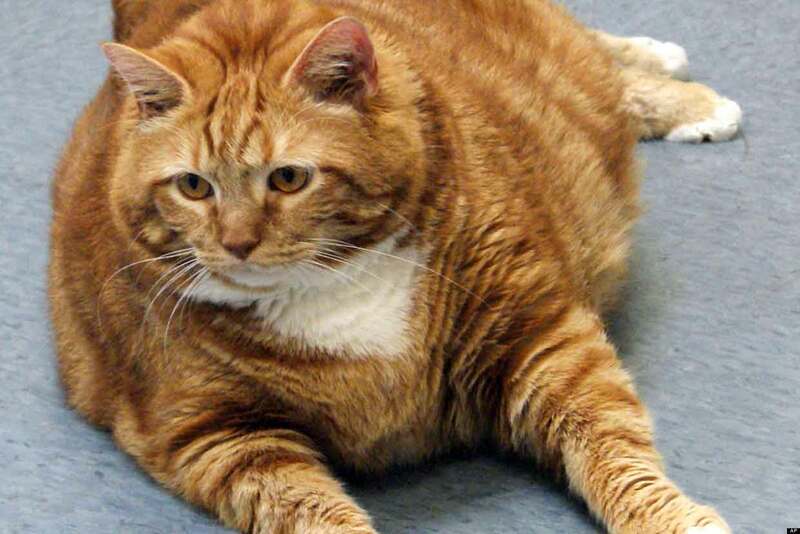 I can’t illustrate what a ‘large’ file size looks like, so here’s a fat cat instead.